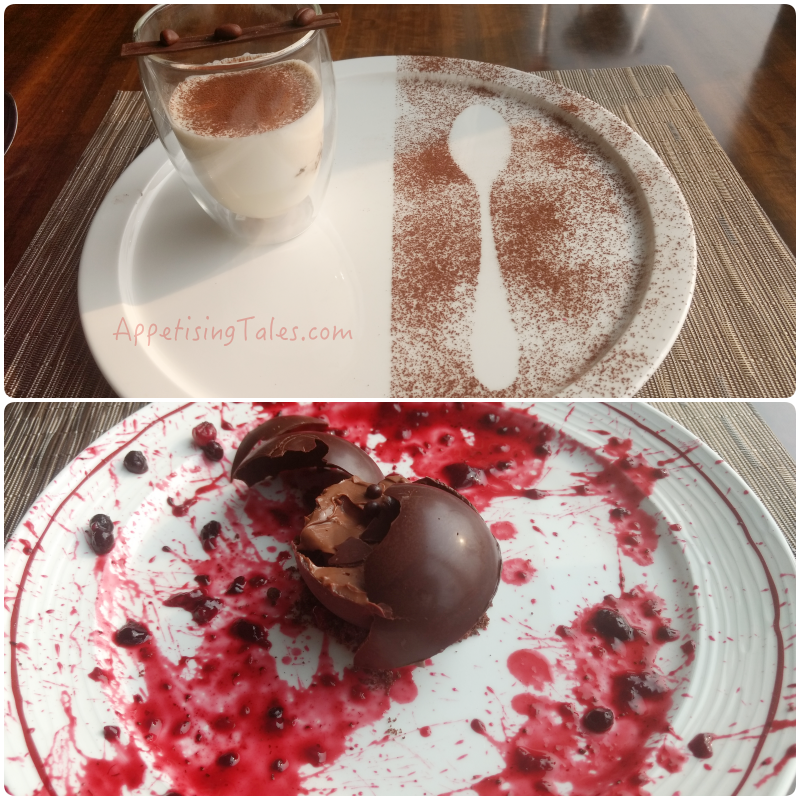 Appetising Tales: 6 Reasons to Visit Bella Cucina Now! 6 Reasons to Visit Bella Cucina Now! 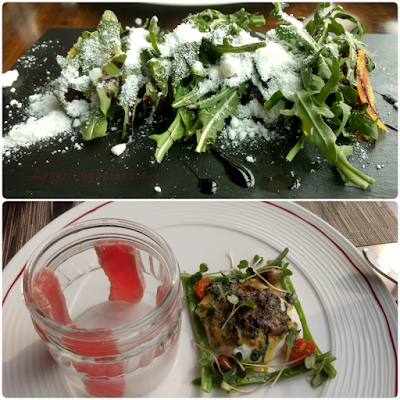 Just when one thought that Delhi NCR now has a great choice of fabulous Italian restaurants spread across five star hotels and stand-alones, comes another gem. Despite reading the fantastic reviews on Bella Cucina, Le Meridien Gurgaon, I waited for the initial hype to settle down before visiting the restaurant on a leisurely Saturday afternoon. But before my meal ended I only wished that I had gone there sooner. So here I present to you six irresistible reasons to book your table there at the earliest. Top: Australian lamb rack with red wine jus. Bottom: Prawn ravioli; Pumpkin risotto. No matter how amazing a restaurant is in any other way, good food always has to top the list. And going by my first experience at Bella Cucina, I can’t wait to head back to try the rest of the dishes. 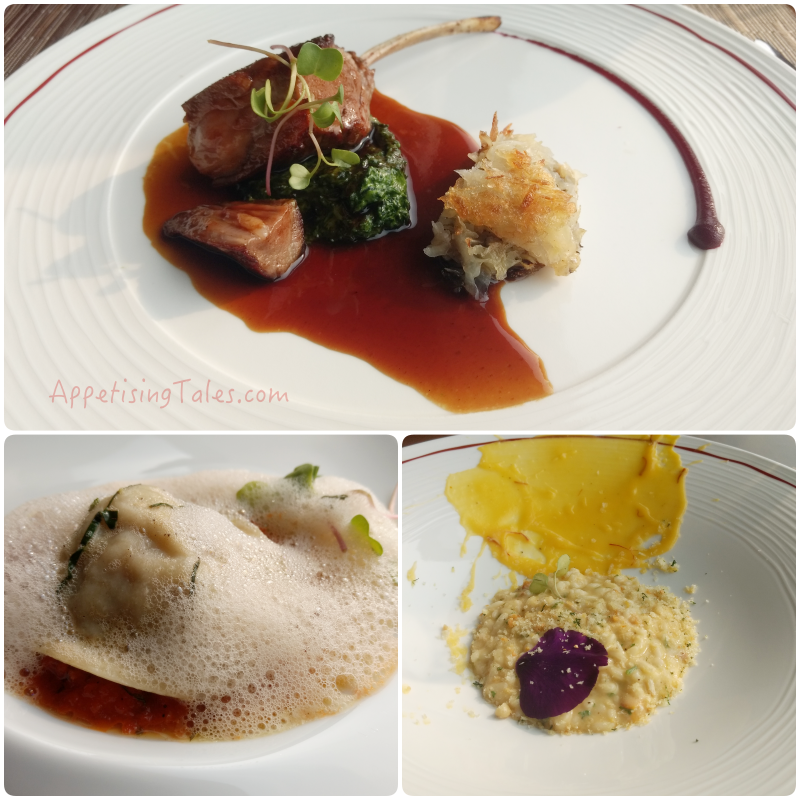 Right from the flavour-packed mushroom cappuccino that is served with a porcini brioche to the refreshing compressed beetroot salad with goat cheese snow and the succulent Australian lamb rack with creamy spinach, the food simply tastes good! So yes, there is a bit of molecular fun and trendy twists to classic dishes, but the essence of these dishes is maintained and the end result is ‘tasty’. And of course, being an Italian restaurant, there is a range of pastas and pizzas. The prawn ravioli that I try is handmade and the bisque emulsion and sauce made of young tomatoes simply enhances the flavour of the delicious prawn inside a pillowy ravioli. Besides a choice of classic pizzas there is an option to create your own pizza, which I am sure excites adults as much as the kids. Because after all, we all have our favourite pizza toppings! The bright interiors offer ample sunlight and view of the pool. Chef Amit Kumar who heads this ‘beautiful kitchen’ (since that’s the literal translation of Bella Cucina) is young, straightforward and very clear about the kind of menu he wanted for this restaurant. His youthfulness is translated onto dishes that are inspired from classics, but are far from boring. The seared tuna salad that is served with a poached egg and spinach hollandaise is his interpretation of the Nicoise salad. An honest approach to his guests ensures that the menu highlights not only the non-vegetarian dishes from the vegetarian ones, but also dishes that use egg have been marked so. “We get plenty of vegetarian guests who don’t eat egg, I don’t want to fool them by serving egg hidden in dishes,” he says. I am already looking forward to the next idea that he is working on, something that he claims “no one else in India is doing yet”. 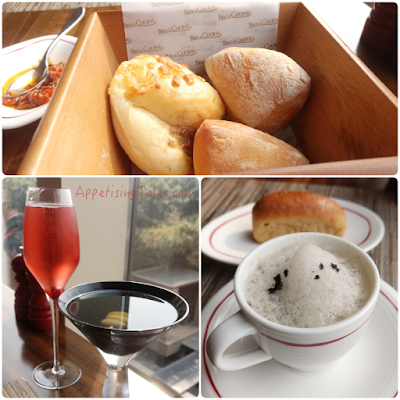 Bottom: Bellini and Martini; Mushroom Capuccino with Porcini Broche. In a day and age where specially sourced foreign ingredients lead to fancy names of dishes, it is a pleasure to read an unpresumptuous menu that distinguishes pasta as “short, long, handmade’ and so on. While there are many who are exposed to world cuisine from their umpteen international trips, there is also a large number of people who simply don’t know farfalle from fettucine. Bella Cucina welcomes them all. But in my opinion, an easy to read menu also gives one the comfort of dining in a relaxed space unlike a stiff, formal restaurant where you might look ‘uncool’ if you aren’t on top of the ‘fancy-food’ game. Top: Compressed beetroot salad with goat cheese snow. Bottom: A unique take on the Nicoise salad. Being in a five star hotel, the pricing comes as a pleasant surprise. While pasta dishes start from Rs 550, risotto from Rs 625, and the most expensive pizza priced at Rs 800, these prices are comparable, if not marginally lower, than even a few upmarket stand-alone restaurants. This of course makes it easier to go back to Bella Cucina repeatedly. A recent addition has been a three-course express lunch menu at Rs 1150 (all-inclusive). While Chef Amit proudly showcases his espresso coffee mousse that comes in a chocolate dome and splattered with raspberry coulis, I tend to stop at a good tiramisu (even though the other dessert tastes fabulous). And having recently returned from Italy where I had ‘authentic’ tiramisu almost everyday, all I can say is that this one is as good as what I had in the land of the tiramisu. And finally, when you go out to a nice place it just makes the entire experience very special. While the afternoon lets in plenty of daylight and a view of the swimming pool and greenery beyond the high glass walls, I can imagine this space to be equally ambient for a romantic evening out. So Bella Cucina also gets a thumbs up for both, a casual meal out as well as for celebrating special occasions. 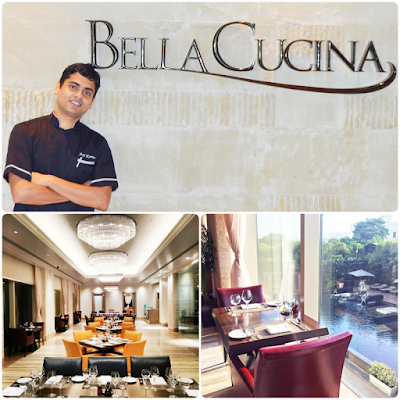 Bella Cucina, Le Meridien Gurgaon, Delhi NCR, MG Road, Sector 26, Delhi-Gugraon Border, Gurgaon, Haryana, India.